There is more than one artist with this name: 1) Levitation - English psychedelic mind-punk outfit 2) Levitation - Norwegian Symphonic Metal/Hard Rock band 3) Levitation - Acid jazz/downtempo band 4) Levitation - Danish modern death metal band More Detail 1) Levitation (1990-1994) were an innovative English psychedelic mind-punk outfit, fronted by ex-House of Love guitarist Terry Bickers. Levitation's music and attitude challenged an early Nineties UK alternative music scene dominated by Shoegazing and Madchester. Leviation's first studio album Need For Not appeared on 4 May 1992 (the adverts for the album proclaiming "May the Fourth be with you"), and The Chain With No Name independent record stores sold the album with a limited edition 7" featuring the track Cutwater on one side and an etching of a heart by Dave Francolini and Joanna Peacock on the other. Throughout the summer the band toured with the Cardiacs, including playing at Reading Festival. Following the collapse of Rough Trade, Levitation signed to Chrysalis, and in April 1993 released their third EP, Even When Your Eyes Are Open. A second album, Meanwhile Gardens, was planned to be released in two parts, the first installment in summer, the second in autumn. Then disaster struck. After playing a bad-tempered fifty-minute set at Tufnell Park Dome in north London on May 14 1993, where the band were co-headlining with Eat, Terry surprised the audience and the rest of the band by announcing his intentions to leave. "Levitation are a lost cause as far as I can tell. We've completely lost it haven't we? Haven't we?" "This is the last time you'll see me for a bit". "No corporation is going to stop us, gas is our business, cars are our business, the music business is our business.." paraphrasing Killing Joke's 1990 track Age Of Greed. A letter to the fan club from Christian Hayes described Terry's departure as "an unfortunate but necessary stick in the spokes... Terry no longer wishes to be in Levitation, feeling no excitement for the material and therefore uncomfortable within the band." The band maintained that Terry's departure was positive for all involved. A later statement on 1 June read, "Terry Bickers (the one who stood in the middle) has parted company with Levitation... We believe the circumstances in which we now find ourselves presents us with the oil to lubricate our gears." In the aftermath of Terry's shocking departure the Meanwhile Gardens LP was temporarily shelved, and scheduled appearances, including the Phoenix Festival (headlining the Powerhaus stage), and a support slot at The Cure's Great Expectations Finsbury Park concert, were cancelled. After rumours that the band had asked Juliane Regan from All About Eve to take over the front spot, Steve Ludwin, from the band Some Have Fins, was finally recruited in August 1993. The new line-up was aired for the first time at a series of gigs at the Splash Club, at the Water Rats in King's Cross in May and June 1994. A letter to the fan club stated, "The storm has passed and the voyage may begin again." The reception was mixed, but most fans were glad to have Levitation back and playing. However, the new line-up did not find its feet, and to the dismay of their devout fans, Levitation finally split for good in October 1994. Their brief but bright career was over. Plans announced in winter 1995 to mix the second half of Meanwhile Gardens and release it with the first half as originally planned never came to fruition. A nine-track version of the album was released through Festival Records in Australia, followed by two EPs, but much of the band's material failed to see the light of day. 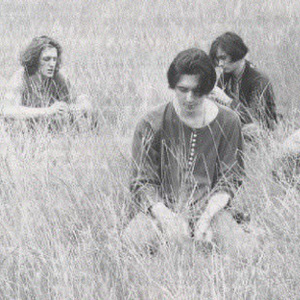 Terry went on to form Cradle with Caroline Tree and Ian Mundwyler, releasing an Baba Yaga in 1996, before going on to another band, Monkey 7, based in Brighton. Terry has since reformed the House of Love with Guy Chadwick, who, after a series of low-key gigs in 2003, are recording new material. Christian, Dave and Laurence formed Dark Star, releasing a number of EPs and an album, Twenty Twenty Sound, in 1999 on EMI. Despite some success and critical acclaim, Dark Star split up. Christian has since played guitar for the Pet Shop Boys and has been recording a solo album under the name Mikrokosmos. In 2007 Christian, Dave and Laurance re-surfaced with three others in a new band, Dragons. Dave Francolini has also started talking of a Levitation re-issue on Rough Trade including the original, never released, version of 'Meanwhile Gardens'. 2) Levitation was a Norwegian Symphonic Metal/Hard Rock band with 6 members. The band was established in 2004, only for a one time performance at a "happy new year"-concert. At that time, the bandmembers was ?yvind Angelsen on synth, Jim Eikev?g on the guitars, Magnus N?ss Eriksen on bass, John Byberg was the drummer and Stig Atle Ravn?s did the vocals and 2nd guitars. After the concert, Stig Atle decided to leave the band, due his studies, and the band lay dead until December 2005, when Hallvard Ladstein joined as vocalist. Also this time, the goal was a performance at the same New Year-concert. The feedback was very positive, and the band decided to participate on "Ungdommens Kulturm?nstring", which is a kind of a talent-competition, under the name "Guardian Soldier". This performance went very well, and the band got through to the regional round. But right after the local performance, the bassist Magnus N?ss Eriksen decided to leave, due time problems. Before the regional performance at UKM, they changed their name to "Levitation". They did lots of concerts, and did also play with bands and artists such as Madrugada and Maria Mena. 3) Levitation was a acid jazz/downtempo band. The 2 songs with the most plays on Last.fm belonged to them. (Update 2009 - this may have changed by now...)Their songs have been featured on several compilations such as Cafe del Mar or Cafe Ibiza.